BREEK NATION: Series review: Transit girls (2015) - EP 3-8 (End). Series review: Transit girls (2015) - EP 3-8 (End). Let me gave you the short review about episodes 3-7 in these sentence. Episodes 3 and 4 are about the feeling inside their mind and their heart. Yui exactly know what she want and also her feeling. She really loves Sayuri more than a new sister. She's falling in love with Sayuri. Yui do everything to know more about Sayuri, even though she told Sayuri about the father's died. It's the point to get them closer and brought them to develop their feeling. Sayuri got confused at this point because sometimes she saw Yui get along with ex-boyfriend (the boss). Sayuri's jealous but she don't understand herself and also Yui's feeling. Episode 5, Yui and Sayuri are taking straight about their feeling, They're cry and confess everything in their heart. Yui said Sayuri is the first girl that she want to love, touch and do more stuff like that. Then, Sayuri cares more about Yui' feeling until they slept together. They spent time with each other in the house and their parents have no notice. Episode 6, Yui's mom have a clue about the relationship between her daughter and Sayuri. First of all, she just wants they're stop fighting, and yes, it is but she saw something different. One day, she saw the pictures on the table nearly Yui's bed. Madoka got shocks from those pics, two daughters cuddle and got naked in the same bed. While Yui and Sayuri are going outside like a date, Yui caught Sayuri's hand in public and Yui got a politely rejected. Sayuri slowly pulls out her hand and look around herself. Yui understand what Sayuri means, but she didn't say anything. Before Yui and Sayuri came back home, Madoka talks with Sayuri's dad and they're waiting for their daughters. Episode 7, Yui and Sayuri are got catch their secret relationship, Yui confessed her feeling in front of everyone. Yui asks The relationship between Sayuri and herself are not allowed because they're being half-siblings or they're also girls. She told that she wants to have a serious relationship with Sayuri. Sayuri told Yui to stop talking. Yui have to leave from here because Sayuri makes her hurts. Yui is moving out and find a new place to live, and Madoka also is moving out after the day. Before Madoka moving out, she talks with Sayuri's dad to make a decision for their relationship. Sayuri's dad said he don't know what's the right thing for Sayuri and now he still don't know about the right decision. So, Sayuri and dad are still living together in the same house without Yui and Madoka. The last episode, Sayuri hang out with her friends at her house, they have to hard study for preparing themselves the entrance exam. Today is a Christmas day, they talk about Christmas plans, other stuff and also Yui. Sayuri has changed the subject and told them about Christmas plan with her dad instead. Yui is going outside in Christmas day. Sayuri also is going to her mom grave but she met Madoka at there. They sat on the bench and talk. Sayuri asks about Yui and Madoka said that Yui is fine and living alone in the apartment. Actually, she's glad that Yui has someone to trust and close like Sayuri, but she doesn't know this is a right or wrong. She came here for apologies to Sayuri's mother that she makes a problem with Sayuri family. Madoka said she can do everything for Yui's happiness, and she let Yui do everything that she wants. Madoka knows how Sayuri feel with Yui and nothing gonna be change since they moving out. So, Madoka gave Yui address to Sayuri. 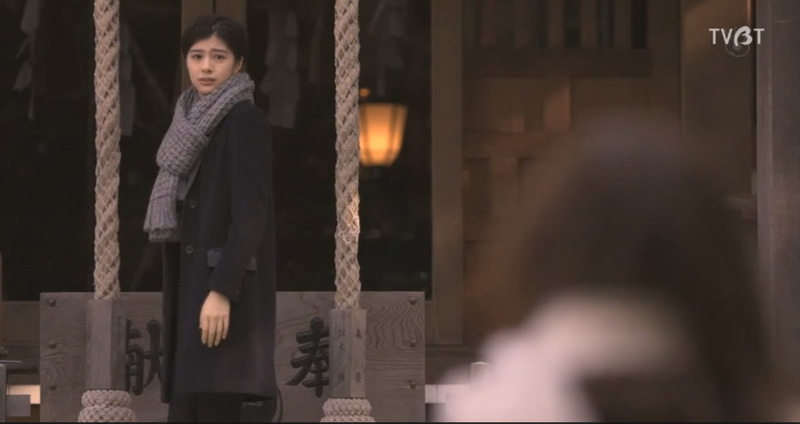 Sayuri came follow the address, but she just turn around. She has another place to go for now. Sayuri is going to Yui workplace and she met Ryutaro. Ryutaro told that he never spend time with Yui on any Christmas until now. Ryutaro said Yui broke his heart again, Yui always be alone on Christmas day. Sayuri got wondering and then she left and go back home. Madoka talks with Keigo that she gave Yui address to Sayuri. Keigo's hesitant and sighing deeply. Last, Keigo want Sayuri has a happy life, it's the right thing that parents should do. Keigo and Madoka make a promise with each other to support their daughters to be happiness. More, Keigo said he want Madoka to get back to the house and living together. Madoka smiles. Sayuri's studying with Nao in Nao house. Nao talks with Sayuri about the relationship between Yui and Sayuri. Actually, she keeps promise with Yui that they will spend the whole time together on Christmas night. Sayuri said I hurt Yui, I had to left Yui alone. Also, Yui's brave to say that she loves me. I didn't do anything, and I'm terrible. 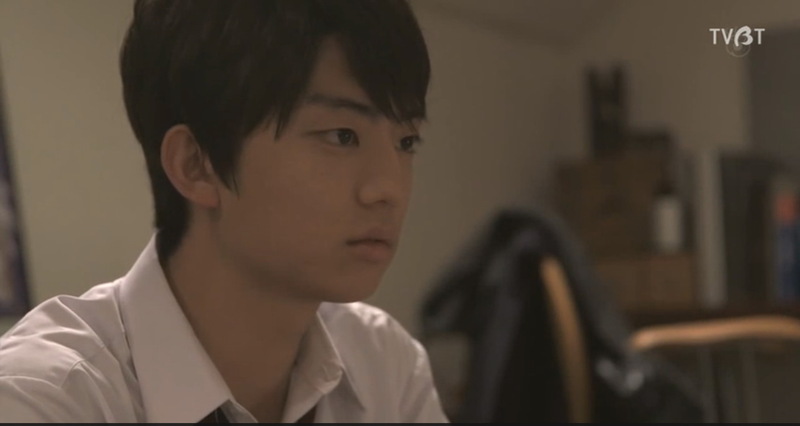 Nao feel bad too but he wants to do a good thing for Sayuri. He told Sayuri should go to meet Yui, Sayuri should do what Sayuri want. If Sayuri gets hurt, he will always stand by Sayuri side. At Sayuri home, Keigo gave a Christmas gift to Sayuri. Sayuri asks for open it, then she found a double heart necklace in a little box. Sayuri got surprised, then Keigo told that Yui told him about the gift. Moreover, Yui leave a message to Sayuri "Merry Christmas". Sayuri goes to Yui's room on the second floor and lay her down on the bed for crying. She really missed Yui, then she look at those pics in the box. She found the pics when she was praying at the Shrine. The last picture is the message that she wrote on the wood for make a wish "I wish I will find myself.". Then, Sayuri ran out the house to find Yui. At the shrine, Sayuri found Yui in the end.Sayuri ran and fall into Yui's arms, Yui said It's hurt. Sayuri said Sorry to make you hurt, I really missing you. I want to kiss you again. This is what Sayuri and Yui want, your guys deserved it. Sayuri: Can I hold your hand? Yui: Sure! Now, Sayuri can hold Yui's hand in public. The simple scene always shows the perfect feeling. Goodbye for Transit girls, you make my heart and my soul warm. If couples want to get through problem, the first thing that they really need to do is always hold each other hands. You're not alone to face the problem, you have someone always beside you.